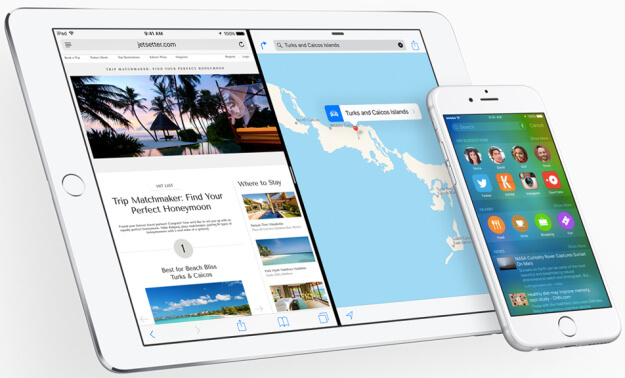 iOS 9 is finally announced but it will be hitting your device on September 16. If you are much interested in trying out the latest build of iOS on your iPhone, you can grab the iOS 9 IPSW direct download links and flash your iPhone with this official builds, the update process is manual. Connect your iDevice to PC via USB. Restore your iPhone, iPad or iPod Touch to iOS 8.4 if you are part of any beta program. Download the latest iOS 9 for your respective device from the link below. Now Press the Shift Key on your device and left click on “Check for Updates” in iTunes. Now select the iOS 9 file download earlier. Wait for few minutes for your device to get flashed.